Home » Inferno Teaser Trailer! 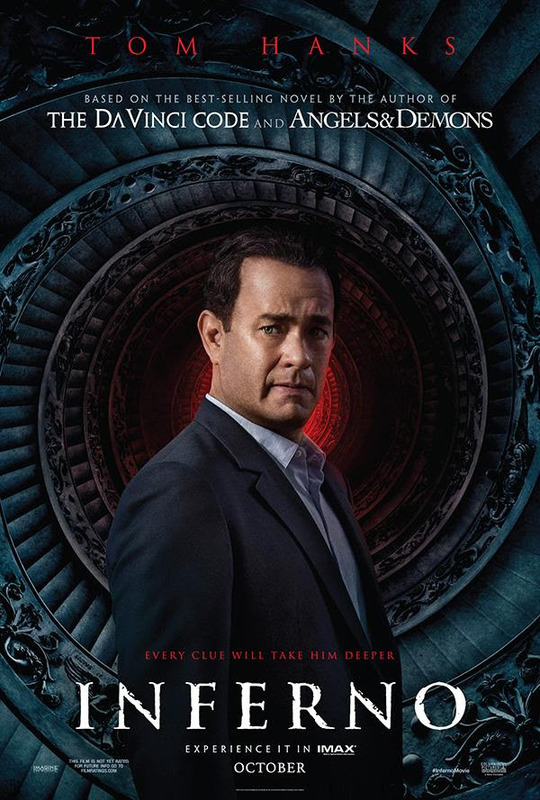 Academy Award® winner Ron Howard returns to direct the latest bestseller in Dan Brown’s (Da Vinci Code) billion-dollar Robert Langdon series, Inferno, which finds the famous symbologist (again played by Tom Hanks) on a trail of clues tied to the great Dante himself. When Langdon wakes up in an Italian hospital with amnesia, he teams up with Sienna Brooks (Felicity Jones), a doctor he hopes will help him recover his memories. Together, they race across Europe and against the clock to foil a deadly global plot. The film’s screenplay is by David Koepp, based upon the novel by Dan Brown. Brian Grazer and Ron Howard are the producers.